“Ring by Spring”, a common phrase thrown around on the local campus of Samford University. 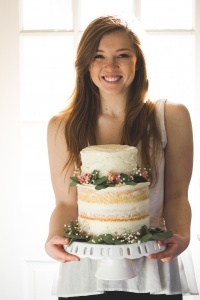 The idea that many graduating seniors will be engaged by their spring semester has led engaged Samford senior Mary Michael Maddox to capitalize on the phenomenon, and her passion for baking, and open up her very own local wedding cake company. 30th Streets Cakes officially launched March 2 in the kitchen of Mary Michael’s little apartment in Highland Park. Mary Michael’s love for the small and simple details of a celebration are visibly seen in her work. Her cakes are simple and elegant with whimsical strokes of frosting laced with wild botanicals. “I believe that our generation has moved passed the desire for perfect elegant cakes and more towards the desire for the natural and simple look.” She finds joy in not only the finished product but also in the process of creating a cake, an art of sorts. 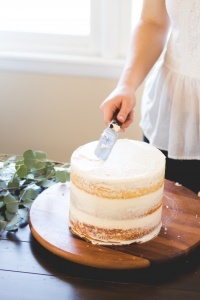 “My goal is to create more of an artisanal style of cake.” says, Mary Michael. 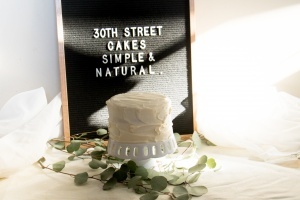 If you are throwing an upcoming party or looking for the perfect wedding cake, send Mary Michael an email or stop by her website: www.30thstreetcakes.com. She would love to sit down with you over a good cup of coffee and talk celebrations.